Britain's Prince William will give up his day job on Thursday when he completes his last shift as an air ambulance pilot before focusing full-time on his royal duties. The 35-year-old prince, the second-in-line to the throne after his father, Charles, announced in January he would quit his role as a pilot with the East Anglia Air Ambulance (EAAA) to take more of the official roles relinquished by Queen Elizabeth who, since turning 90 last year, has eased up on her workload. 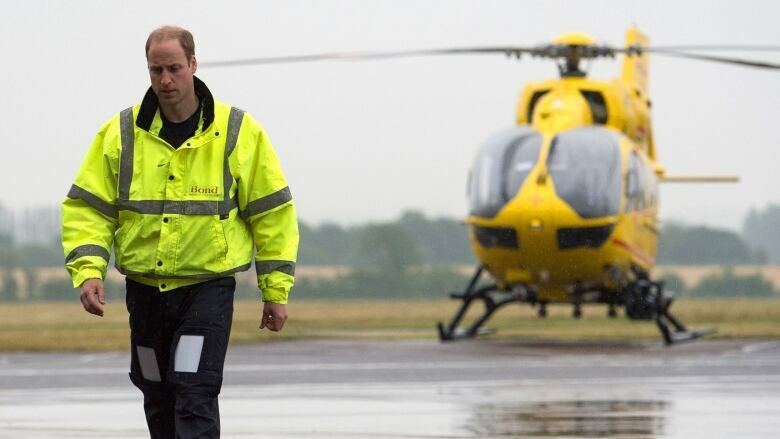 William's office said the prince would perform a night shift at Cambridge Airport in central England where he has been based since joining the EAAA in 2015, before posing for a photograph with his colleagues. "Following on from my time in the military, I have had experiences in this job I will carry with me for the rest of my life, and that will add a valuable perspective to my royal work for decades to come," he said in January. William served in Britain's armed forces from 2006 until 2013, and worked latterly as a search and rescue helicopter pilot. As well as quitting his air ambulance job, William is moving with wife Kate, and children George and Charlotte from Anmer Hall, their country mansion on the queen's Sandringham estate in eastern England, to Kensington Palace, their official London residence.